Online Baccarat Guide 2019 - How To Win at Baccarat Online! But there are also plenty of thrills and spills to be had in the comfort of your own front room, regardless of whether you're playing baccarat online at an established favorite such as SlotoMania or a recent upstart. The good news is that in 2019, the casino favorite of the rich and famous can now be enjoyed by you at home and on online, playing for real money. 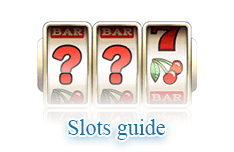 Previous results will also be shown on the online casino&apos;s screen, so if you're superstitious or into betting systems, these may help you decide how to play the next hand. It&apos;s only natural that all good casinos want your business, and they will all entice you in with promises of riches. New online baccarat customers will be offered deposit bonuses so you can have a chance of earning some free cash. OK, so we've covered the baccarat basics for you. What about the different variants of the game you may find at top online casinos in 2019? The beauty of online casinos in 2019 is that you're not restricted to just playing against a computer dealer. There are several versions of baccarat around in casinos in 2019: Chemin de Fer, Baccarat Banquet, and Punto Banco. All variants are similar other than the way the cards are dealt. US casinos mainly offer Punto Banco as the most popular version of the game. In 2019 you can play a wide range of baccarat games online, particularly the mini version which offers quick, simple betting thrills. The total money a player wagers during a baccarat session. From the Spanish word for 'banker', the Banco is the dealer or player with the show who deals and plays the hands. A player's money for playing baccarat with. The card removed from the deck after each shuffle. A word for the dealer, who controls the flow of the game. The French version of baccarat. 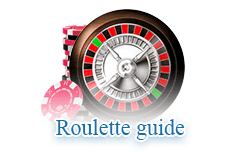 Depending on whether a baccarate bet wins or loses, your next bet is either increased or decreased. Clear the table of previous bets. Distribute the cards to the players. The player acting as banker who also 'deals' the cards and is sometimes called the dealer. A card dealt face down. Jack, Queen, King. Which all have a value of zero in baccarat. A player bets the same amount on each hand of baccarat. The cards dealt and played during each round of baccarat. The advantage that the casino has over the players, expressed as a percentage. A French term for a 'Natural 9'. An online form of baccarat where you get to play with a real-life croupier via a webcam. 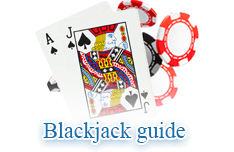 An online version of baccarat using a smaller table than conventional baccarat. 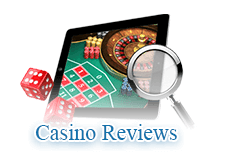 Baccarat games specially tailored to your smartphone or tablet. An 8 or a 9 that is dealt in the first two cards. A popular variant of baccarat played in US casinos. Holds the cards before they're dealt. Can hold up to eight decks of cards.